The China Research and Development Network (CRDN) is a research unit of the Department of Applied Social Sciences at The Hong Kong Polytechnic University. In 2005, CRDN was established in light of the rapid social and cultural transformations in the post-reform mainland China, to respond to its growing demands for professional social welfare services and the urgent need for developing indigenous social work theories and practice models. The objective of CRDN is to become a leading academic centre of China's social development, social policy, social work research and practice. Since its inception, the CRDN has continuously strived to provide outstanding education and training to mainland Chinese social work practitioners, while engaging in rigorous researches as well as participating in special projects. To date, CRDN has established two research centres in collaboration with Peking University and Yunnan University respectively with the aim of further cultivating our activities and researches in mainland China. 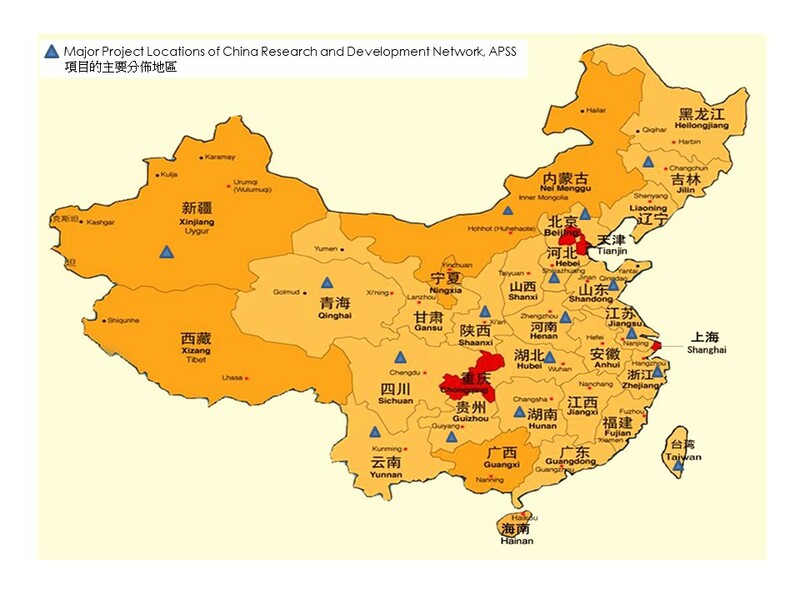 Our projects are located in more than 15 provinces, municipality and autonomous regions in China. Since 2016, we have also extended our social work trainings and projects to East Asia country like Vietnam. In 2018, a project on solidarity economy was being initiated in Taiwan.